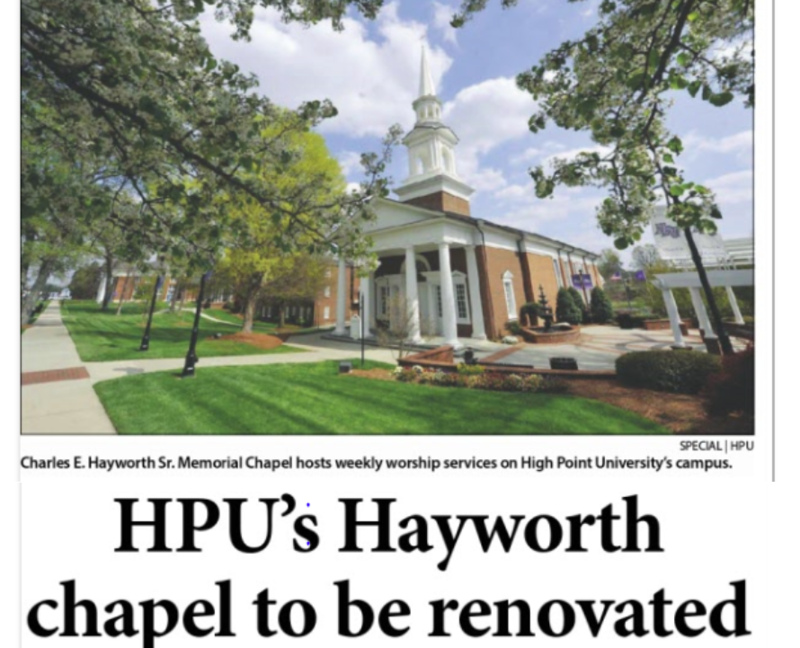 The Charles E. Hayworth Chapel is considered the “heart and soul” of the High Point University campus. Built 47 years ago, the chapel will undergo a complete renovation this year, thanks to a $500,000 gift from David Hayworth, the son of Charles E. Hayworth. David Hayworth and his family have given a lot to our community and supported the High Point Community Foundation over the years. Please take a minute and download this excellent article from the High Point Enterprise. And if you see David around town, say thanks!